Said to have been founded by Senius, son of Remus, Siena is a lovely medieval city that welcomes the visitors with the sight of its huge and unique shell-shaped square, Piazza del Campo, pulsing heart of the historical center. Here the famous Palio is held twice every summer, offering a rare and unforgettable spectacle: a horse race that sees the competition among the different “contrade” the 17th areas in which the town is divided, each holding its unique symbol and flag representing that specific contrada. During the days of the Palio the whole city becomes a stage for an historical pageant taking us back in time and recreating the fascinating atmosphere of an ancient past. 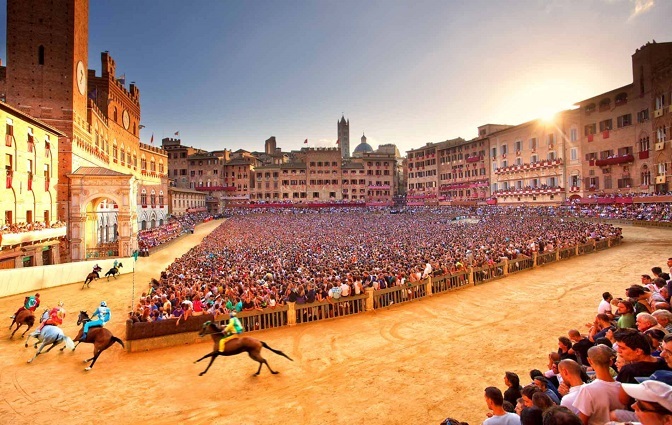 The Palio is far more than a simple event and it is perceived and experienced by each Sienese (citizen of Siena) with great passion, excitement and even devotion. The main attractions are located within the small center and the main square. 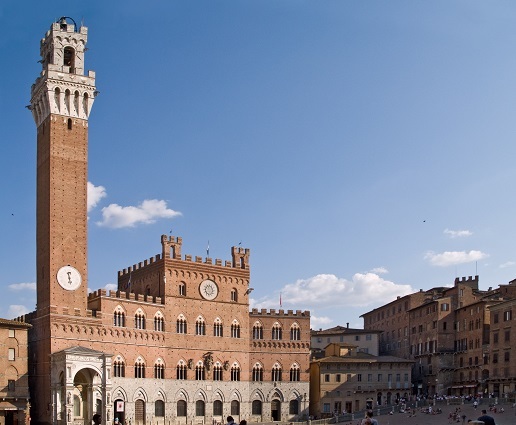 Piazza del Campo is dominated by the beautiful Palazzo Pubblico and its famous tower, Torre del Mangia which is among the tallest Italian towers, reaching 102 meters. The impressive Dome, right above the piazza is a great example of Gothic building, filled with precious frescos and treasures by Pisano, Donatello and Michelangelo. 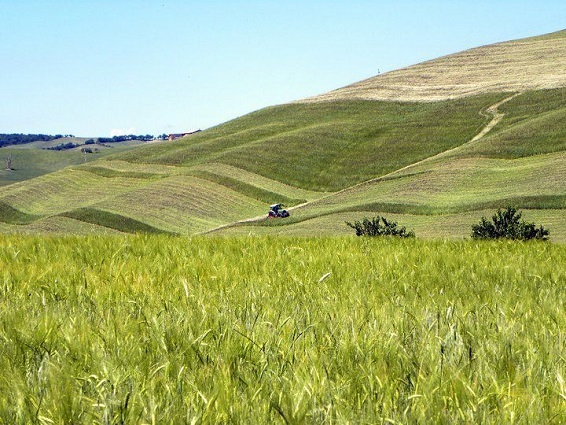 In the immediate surrounding, the beautiful landscape Terre Senesi (“Lands of Siena”) catches your eyes with an amazing alternance of colors.